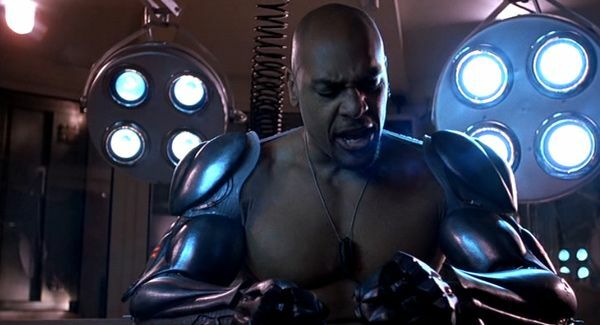 Jackson “Jax” Briggs is definitely the mouthiest Cyborg in Hollywood history. Notorious for his piston-powered punches, Jax is an authority figure who always looks out for his team. His bionic arms make him one of Earth’s greatest fighters, and he’s Johnny-on-the-spot for quippy one-liners in 1995’s box-office bomb, Mortal Kombat. We’re actually not sure if the fact that he defeats Motaro without his cybernetic arms makes him a great cyborg an awful one. That conundrum is for you to decide.